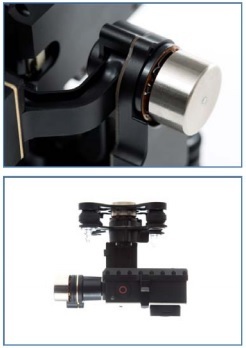 offering high stability, light weight and plug and play simplicity. It is ideal for a range of applications, from film and TV to ciematography. Hardware mounting and software tuning. 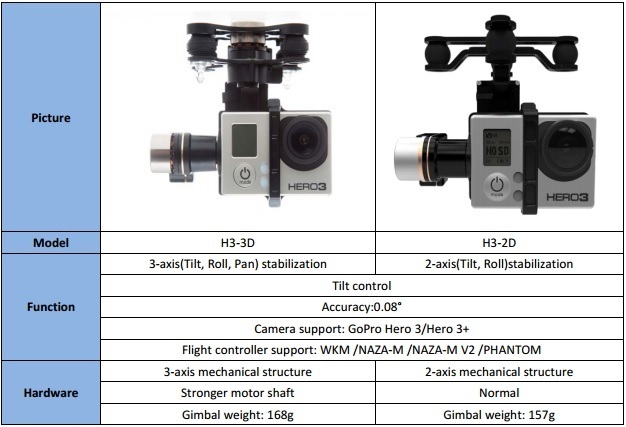 means that the DJI Zenmuse H3-3D gimbal provides pixel level stabilization. precise attitude data while a closed-loop control gives improved control accuracy. Functionalities can be easily expanded though firmware upgrades. 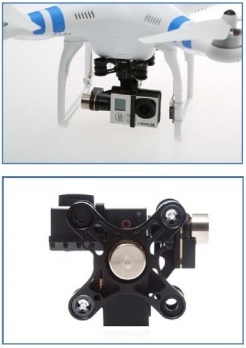 The standard H3-3Dfeatures an independent GCU.Customized H3-3D for Phantom 2 doesn’t have one.